DAVID LE/Staff photo. 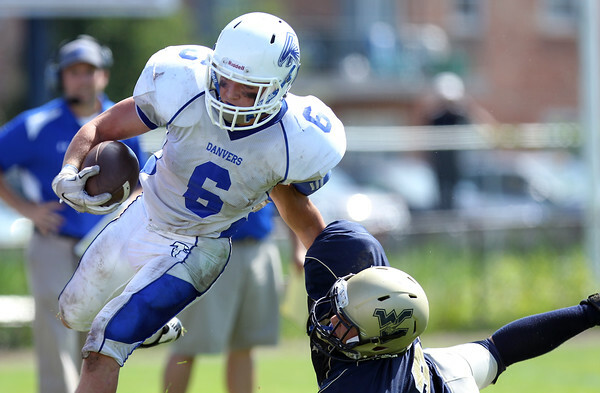 Danvers senior captain Danny Lynch stiff arms a Winthrop defender while picking up a first down. 9/12/15.